Imagine if someone on your team told you that she had just been diagnosed with a serious illness. Somebody in our organisation looked at our team’s velocity and remarked that our velocity wasn’t consistent. That, he said, is evidence of an ineffective Scrum Master. No, that’s evidence of inconsistent velocity. There have been times when I have been a Scrum Master for a team with a velocity that goes up and down. I know it shouldn’t. A team aims to be predictable. An accurate forecast is important. Nevertheless, we don’t always achieve what we set out to do. Those hills and valleys are our triumphs and our scars. Over the years, my Scrum teams have dealt with a lot. We have had peaks when half the team volunteered to work over the holidays. 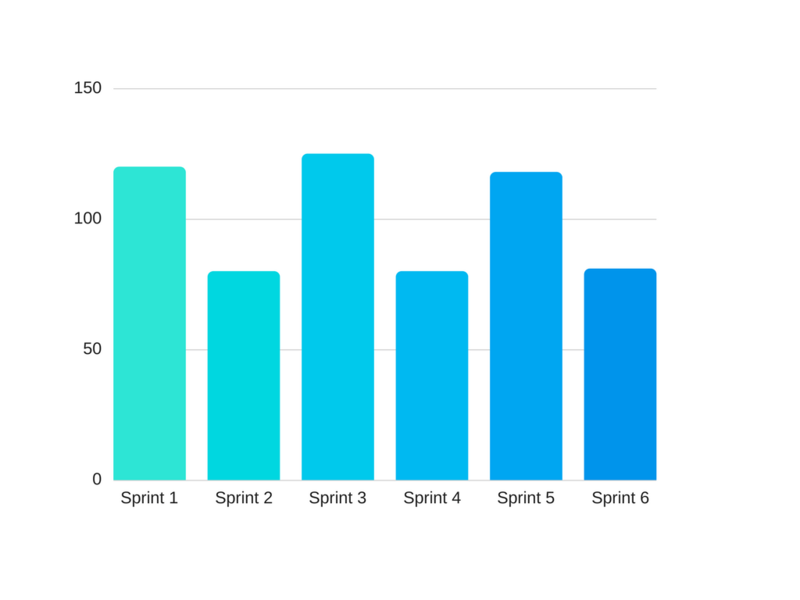 One team decided that they were going to smash their record one Sprint. Those valleys were when beloved family members passed away. There have been babies born. There have been holidays of a lifetime. We didn’t complete as many points when one of us brought his family to Australia to live with him for the first time. We want to keep our team the same size for a long time. We want to fund products not projects. Those factors will help us reach predictability. Yet, we compromised both of those ideals when I had a team that welcomed two new team members. Another team was disbanded because their project came to an end. Two of them joined us. Our velocity changed. To be fair, I don’t always get it right. This isn’t always about tragedies or things outside of our control. Teams need to be predictable. They need to get better at estimating and forecasting. I need to coach them in that direction. That particular up and down was mostly attributed to a mistake that we made more than once. 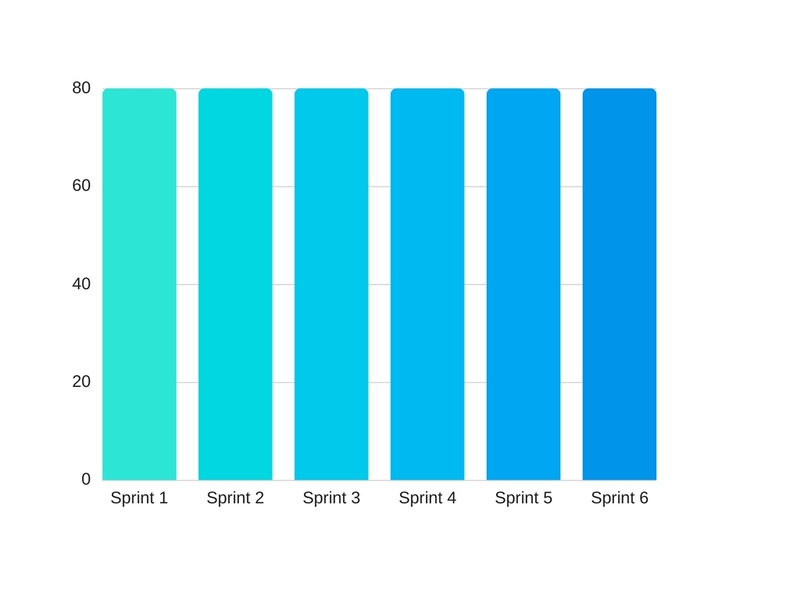 Here’s the pattern: we take too much in one Sprint. Say we try for 120. However we only finish 80. So 40 of those points spill into the next Sprint. This time we take in and finish 120 (because 40 of the points were practically done). Now we get ambitious. We know we can do 120 – we just did. We do 80. 40 of the points spill into the next Sprint. Around we go again. That was a new team. They learned. The team has been commanded to have a consistent velocity. This probably means that we are predictable. It could also mean that we are focusing on the points rather than our Sprint goals. Maybe we are gaming the points. Can’t tell. This might be what happens. It might not. 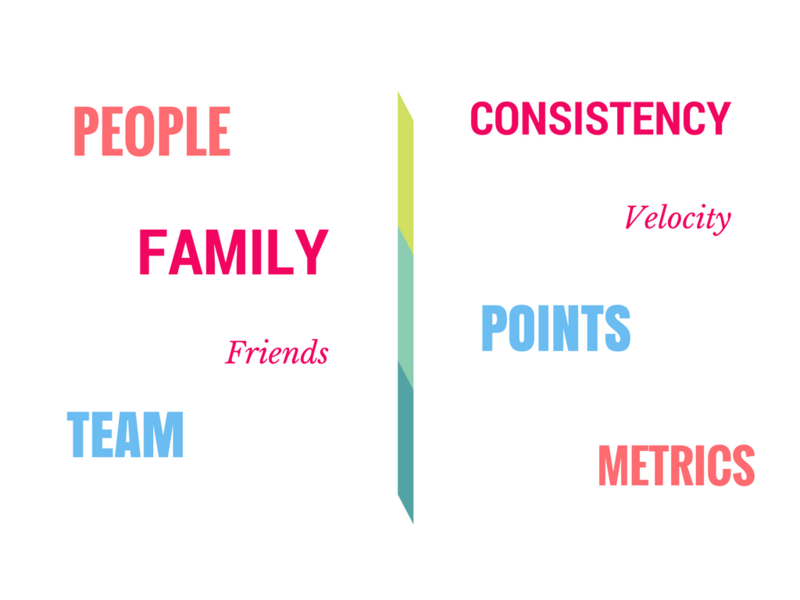 What does the Scrum Guide say about a consistent velocity? Absolutely nothing. Those words do not appear. That doesn’t mean it isn’t good Scrum practice. Scrum is set up to optimize predictability. We want to know what we can achieve in a Sprint. We want to use our past experience to guide our decision making in the future. Don’t get me wrong; a team with a consistent velocity is a good thing. It is something to aim for. However, like any metric, it doesn’t tell the whole story. You can’t look at the velocity as a single metric by which to judge the success of a Scrum Master. 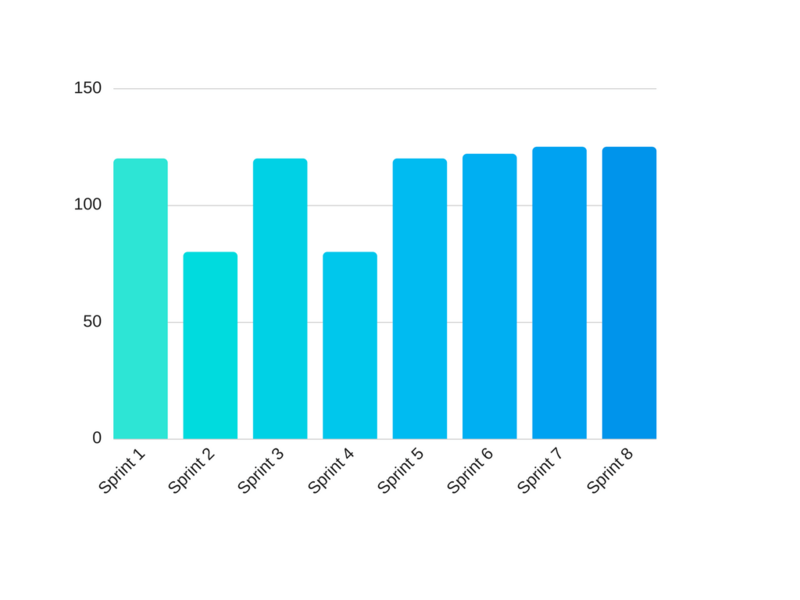 If how many points the team completes and whether or not they are consistent from Sprint to Sprint, is the measure, I am an ineffective Scrum Master. That’s not what I believe. 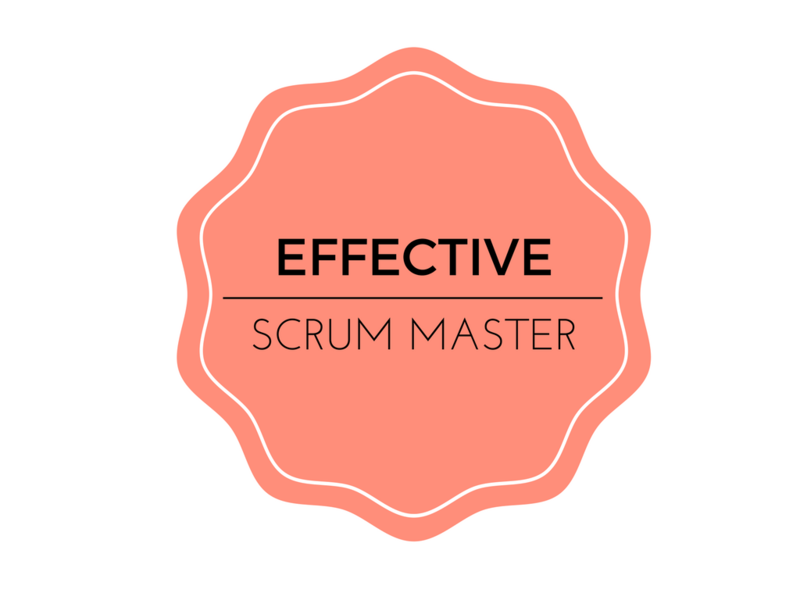 I believe an effective Scrum Master recognizes that people are important. The things that people produce are important. Achieving our goals is important. Outcomes are important. Counting points is a metric that helps us understand our capacity. Over time it helps us understand our consistency. However, the important thing is that we are consistent. Both with what we say we will deliver and how we treat each other. Take care of the people and they will get things done. As a team, we will continuously improve. If some of the points spill into the next Sprint, we will cope. We will be there for each other. We value what is on the left more. In doing that, we will achieve what is on the right.